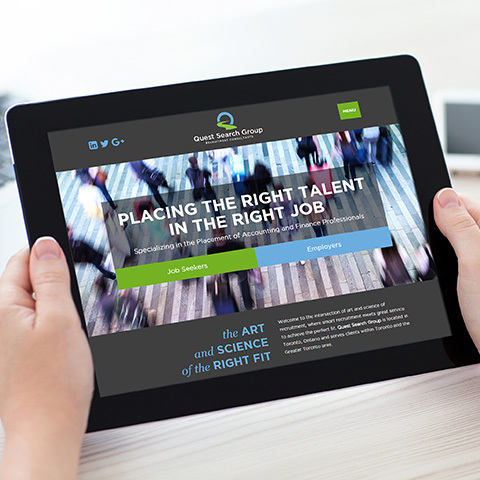 Quest Search Group is a search and recruitment company serving Toronto and the Greater Toronto Area. As a member of the Clutch Marketing team, I worked on many projects for Quest Search Group, from wireframing, mockups and image optimization to coding. Additionally, I was also involved in logo ideation and creation to a final printed brand package and Quest brochures.